The 2014 Porsche Cayenne is this luxury automaker’s family-sized crossover. It works hard to live up to the Porsche image by delivering great horsepower and racy handing. The exterior ensures that the Cayenne will not be mistaken for the average SUV. The interior leaves no doubt that this is a luxury car. When it comes to engines, the 2014 Porsche Cayenne offers seven choices. The standard V6 is fast enough with 300 horsepower, but the GTS Turbo really makes this move like a Porsche. It cranks out 420 horsepower. Then there’s the Cayenne Turbo with 500 horsepower and the Turbo S model with 550 horsepower. You can just see this SUV moving at top speed from zero to sixty in a mere 4.3 seconds. Sure there’s a manual. That’s a logical choice for Porsche lovers who tend to be sport car fanatics. Yet it’s the 8-speed automatic that really makes you want to drive this luxury SUV. Shifting is timely, ensuring a racier precision that Porsche drivers have a right to expect. The All Wheel Drive has different modes to take care of snow, sand and other difficult surfaces. Yet regular driving is where this AWD really excels. The engine sends the power to the rear for race-car handling. You don’t have to choose between true agility and true traction. You get both in the 2014 Porsche Cayenne. Porsche calls the steering system ‘hydraulic–boosted, variable rate”. The feel is responsive and composed. Drivers will notice excellent lane control. The firm, but sporty feel definitely reflects well on Porsche’s racier roots. Side-to-side torque vectoring ensures aggressive cornering, yet again reflecting well on Porsche’s roots. The air suspension is aided by electronically adjustable dampers. Dynamic Chassis Control, an active anti-roll technology, contributes to handling even as it ensures safety. The Cayenne’s exterior defies the traditional utility vehicle image. The stance is sleek and curvy. You’d never guess this vehicle is off-road ready. The 2014 Porsche Cayenne interior is curvy too. The sloping center console, curved surfaces and contrasting vertical air vents are key design element. From the finely-stitched leathers to the classic wood inserts, each detail adds up to a luxurious whole. While a dual-zone auto-temp system is standard, the four-zone auto-temp system can make the rear seats desirable even for adults. Back row passengers enjoy molded seats that can recline as well as slide up and back. Drivers enjoy 8-way power chairs with the option of heated/ventilated front row seating. The layout doesn’t forget about the road, using slender A pillars to ensure adequate sightlines. The base model starts with a 10-speaker stereo and a 7-inch touchscreen. The tablet-like device features straightforward menus that ensure ease of use. Bluetooth rounds out the basics. A rear DVD system is available for your teen’s or child’s entertainment. Porsche offers more choices including a Bose stereo or a Burmeister Audio System. The vehicle’s durability is clearly indicated by two factors: towing capability and off-road capability. The vehicle can tow as much as 7,716 pounds. It is also an acknowledged off-roader. With four modes and an electronically-controlled rear locking differential, the AWD system can be adjusted for appropriate traction. There are options for skid plates and other underbody protections. Although many drivers will never tow with the 2014 Porsche Cayenne or take it off-road, just knowing that these possibilities exist is an indication of how well-made this SUV really is. Safety features include the most advanced options on the market today. Active cruise control can slow or accelerate to match the traffic. A blind spot monitor warns against possible side collisions. Lane watch keeps an eye on the road’s lines. The headlights can level themselves, keeping the light at the right angle even on uneven pavement. Airbags include a standard driver’s knee airbag and the option of rear side airbags. 1. Fuel economy is dismal on all models. The best gas-powered models gets only 17 mpg/city and 23 mpg/highway. The diesel isn’t much better with 20/city and 29/highway. 2. The pricetag is steep, and there are key features that are left off, forcing you to move up the trim line. For instance, the base transmission is a manual, and most people will want an automatic. In another instance, the rearview camera, a favorite modern staple, is extra. 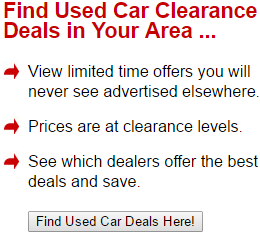 However, if you can afford the price, you probably aren’t worried about the cost of extras or fuel economy. 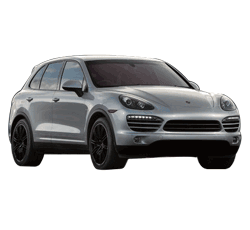 The 2014 Porsche Cayenne is a remarkable vehicle by any standards. Handling is guaranteed and power is just a decision that the consumer has to make. How much is enough horsepower? Which engine suits your driving needs? For those who love a sports car but need a family car, this is the ultimate answer. For those who want luxury and still expect adventure, the off-roading capability is very appealing. Families will feel at home with the cabin’s inviting features. If this is a business purchase, it will project a professional image to others while showering luxury and true comfort on its owner.